Zenko Aviation is a full aviation-related services & solutions provider, dedicated to making this businesses sector safer and more efficient. The company specializes in sales and leasing of aircraft engines, spare parts and maintenance tools, as well as MRO services, software solutions, and a wide range of integrated aviation services. 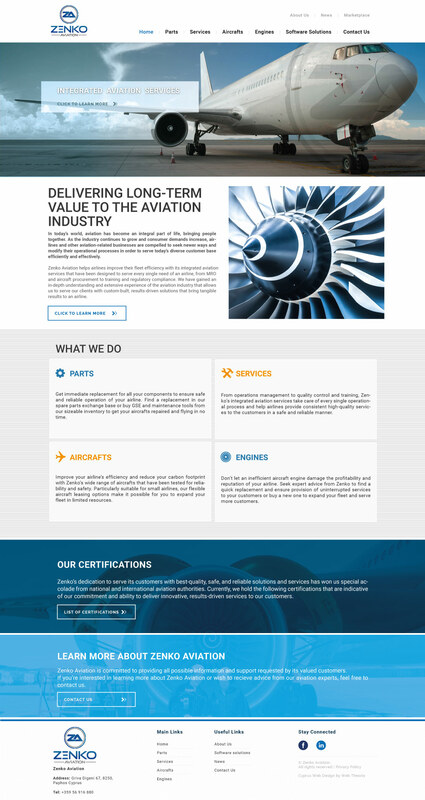 After a thorough search for the right partner, Zenko Aviation chose Web Theoria to design and develop a new website that could properly represent Zenko Aviation’s status and requirements. Following an extensive analysis of their old website and business activities, Web Theoria designed and developed – from the ground up – a fully custom website with the goal of increasing brand awareness, visitor numbers, repeat customers, client conversion as well as a significant improvement of Zenko Aviation’s online presence. 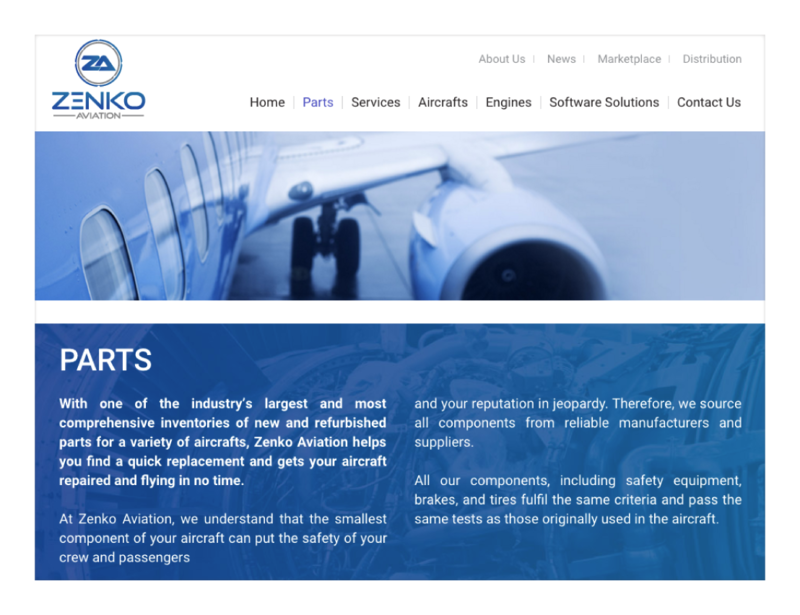 We are delighted to welcome Zenko Aviation aboard and wish them all the best with their business endeavours!